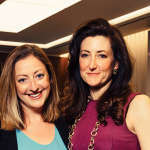 The latest senior in-house moves have seen luxury jewellery company Tiffany & Co promote Leigh Harlan to take over as general counsel as longstanding incumbent Patrick Dorsey announces his retirement, while Visa has brought in PepsiCo’s deputy GC Kelly Mahon Tullier to head its legal function, and Jenner & Block’s managing partner Susan Levy has been appointed as legal chief of global investment management firm Northern Trust. Dorsey retires after 29 years on 22 May, when associate GC Harlan, who joined the iconic New York Stock Exchange-listed jewellers in 2012 from elite Wall Street firm Cravath, Swaine & Moore will take over as senior vice president, general counsel and secretary, reporting to Tiffany’s chairman and CEO Michael Kowalski. Kowalski said: ‘I can only express immense appreciation for Pat’s enormous contributions since joining Tiffany in 1985. Pat played a pivotal role in Tiffany’s initial public offering in 1987. ‘Since joining Tiffany, Leigh has proven herself invaluable, demonstrating a sharp, agile intellect, keen legal acumen and strong leadership skills. We are confident in Leigh’s abilities to oversee our highly-talented legal department and delighted to have her as a counsellor on a range of legal matters affecting our global business,’ he added. Elsewhere, Tullier will join Visa on 16 June as executive vice president (EVP) and deputy general counsel, transitioning into the more senior GC role within the US multinational financial services corporation from 1 October onwards. Prior to managing PepsiCo’s global and centralised legal teams, Tullier was GC for its Asia, Middle East and Africa division, based in Dubai, where she managed legal issues in over 70 countries, including big growth markets China and India. 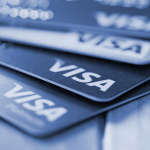 Visa’s chief legal officer and chief risk officer Ellen Richey, who joined Visa in 2006 from US bank Washington Mutual, will step into a newly-created vice chairman role for risk and public policy from 1 October, overseeing the chief risk officer and chief audit executive. 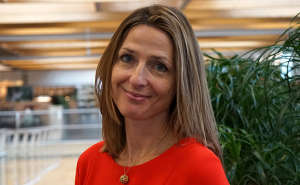 She will also lead a newly-created function responsible for public policy at Visa and will be responsible for coordinating global crisis management at the executive level. Meanwhile, Levy, who has been with Chicago-based firm Jenner & Block since leaving law school in 1982, becoming managing partner in 2008, is set to make the move in-house, to wealth and asset management institution Northern Trust, which manages $915bn in assets from offices around the world. Succeeding Levy as managing partner at the 450-lawyer firm is co-chair of its patent litigation practice Terrence Truax, who will take over the post from 1 May.